Those who tuned in to the Six Paris Major got a chance to check out details on the next big update for Rainbow Six: Siege. Prior to Sunday's Six Major Paris Grand Finals, Ubisoft had some news for Rainbow Six: Siege players. The game's latest content drop is on its way, as the publisher revealed full details for Operation Grim Sky. 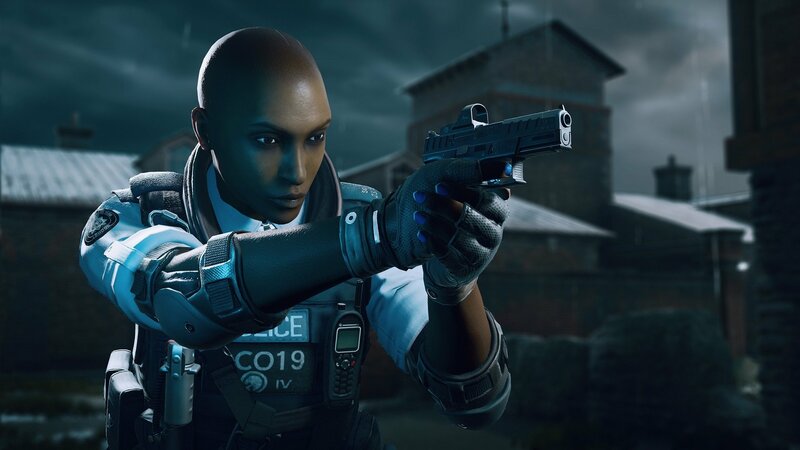 Operation Grim Sky will include two new characters, along with the game's first full map rework. Hereford Base is getting a fresh facelift, with the game's developers utilizing what they've learned over the last two years to craft a more competitive space. As for the new characters, first up is an Attacker named Maverick. He's an American member of The Unit, having last served as the regional specialist in Kabul. He brings along the Suri Torch, a powerful blowtorch capable of burning through surfaces and doing so quietly. The Suri Torch can also burn through reinforced walls. Next up is a Defender named Clash. Clash hails from Britain, having served in London's Metropolitan Police Service. Having dealt with unruly mobs, she's capable of handling crowds with her Crowd Control Electro (CCE) Shield. This bad boy zaps nearby enemies with tasers to subdue them, making offenses think twice about pushing forward. Players on the Rainbow Six: Siege Test Server won't have to wait long to try these changes out. The PC-exclusive server will deploy Operation Grim Sky on Monday and look to work out any remaining kinks before the update goes public. Operation Grim Sky is coming soon to all Rainbow Six: Siege platforms.